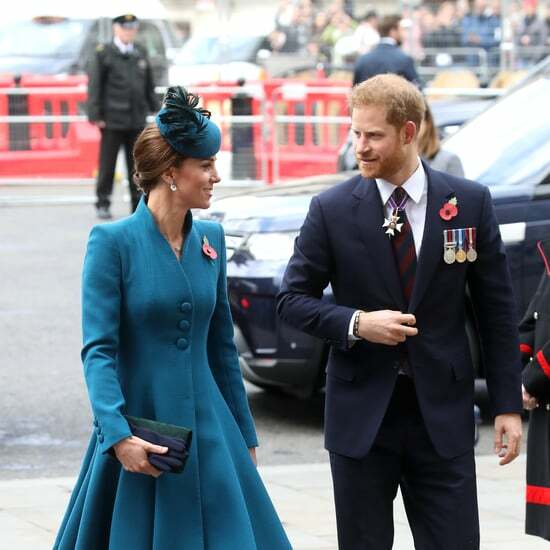 Where Did Sarah Ferguson Sit at Princess Eugenie's Wedding? Like most things associated with the royal family, every detail of Princess Eugenie's wedding on Friday morning was choreographed and planned out according to the couple's wishes and royal protocol alike. One of the biggest questions in the days leading up to the princess's wedding to Jack Brooksbank was how prominent her mother, Sarah Ferguson, would be. The Duchess of York has had a complicated relationship with the royal family ever since she and Prince Andrew divorced amidst a sea of awkward scandal. Prince Philip reportedly even debated not coming to the wedding in order to not have to see her (but he did come after all). So we were pretty amazed to see where Sarah was seated: front and centre, in a place of honour. 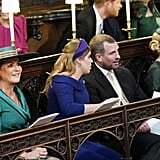 Sarah was seated along with the rest of the royal family in the front rows of St. George's Chapel on the "bride's" side of the chapel. Royal watchers will remember that she didn't get this honour at Prince Harry and Meghan Markle's wedding earlier this year; she was seated separately from her royal ex-husband and daughters. 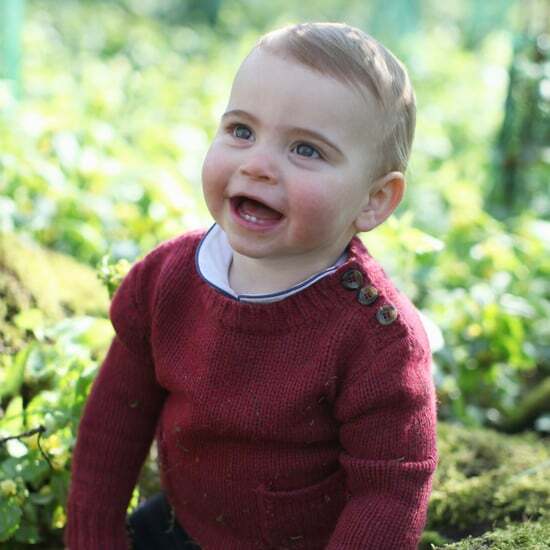 However, given that she was the mother of the bride this time around — and that the bride and groom get the final say in seating — she was given this prime spot, with the rest of the royal family sitting in the second row. 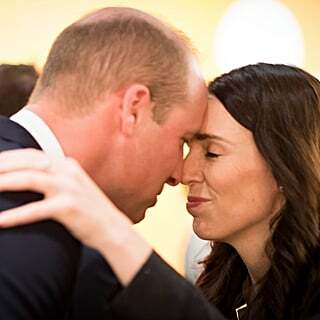 Typically, the first row at royal weddings hosts the prominent royal family members who are related closely to the royal getting married. 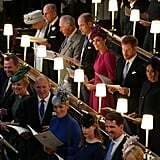 For instance, at Harry and Meghan's wedding, the front row was where the Duke and Duchess of Cambridge, Prince Charles, and Camilla, Duchess of Cornwall all sat. Similarly, when Prince William married Kate Middleton in 2011, the front row at Westminster Abbey consisted of the Queen, Prince Philip, Prince Charles, the Duchess of Cornwall, and Prince Harry. So it makes total sense that, at Princess Eugenie's wedding, the front row would consist of her parents and her sister, Princess Beatrice. 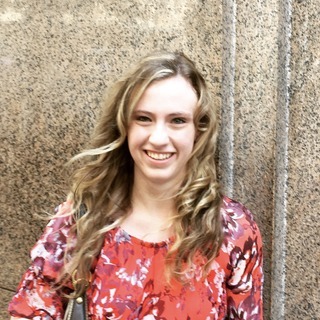 A lot of this precedent has to do with whether or not Sarah is technically royalty or not. Although she's still styled "Sarah, Duchess of York," she lost her royal HRH status upon her divorce from Prince Andrew and is not "really" royal. 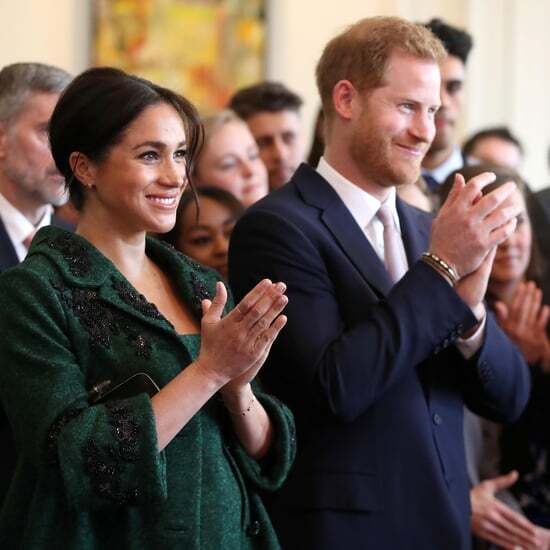 Non-royal family members at royal weddings — such as the Duchess of Sussex's mother or the Middleton family — don't generally sit in equivalent seating to the royals. 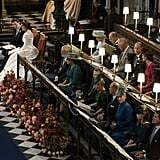 At her daughter Meghan's wedding, Doria Ragland sat apart from the royal family, and when Kate Middleton became the Duchess of Cambridge, the Middletons sat on the opposite side of the Abbey, along with non-royal members of Prince William's family from his mother's side, the Spencers. You can check out more pictures of Sarah, Duchess of York at Princess Eugenie's wedding below!